Adriana was born in 1990, in a family of musicians in Ploiesti, Romania. She started playing the violin at age of 5, under her parents’ guidance. Until now, Adriana has won 25 prizes at national and international competitions in Romania. In 2007 she won the first prize, the special prize and the George Enescu medal at Remember Enescu International Violin Competition in Sinaia, Romania. 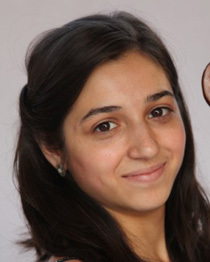 An ABRSM Scholar, she is currently a postgraduate student at Royal Northern College of Music in Manchester, where she studies under the guidance of Yossi Zivoni. She has also received a sponsorship from Ion Voicu International Foundation from Bucharest. Her activity as a soloist includes recitals and concerts in Romania, Austria, France, Lebanon, Holland and England, in venues such as: Carole Nash Recital Room at RNCM, Cosmo Rodewald Concert Hall at Martin Harris Centre in Manchester, the Romanian Embassy in Paris, the Romanian Atheneum in Bucharest, Alfred Alessandrescu Broadcast Studio, the Parliament Palace, Hungarian Cultural Institute and many more. Some of her recitals had been broadcast by TVR Cultural, tvRM Romanian Television, and Romanian Broadcast Station. Her appearances in International Music Festivals, include: the George Enescu Festival in Romania in 2011 and 2007, as well as The International Holland Music Sessions in Holland in 2010. 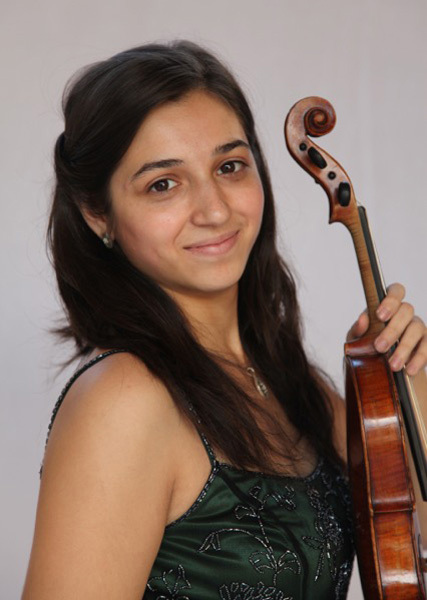 As a soloist with orchestras, she has played with ensembles such as: RNCM Strings Orchestra, Sinfonia Bucharest Orchestra, Beirut Chamber Orchestra, Nae Leonard Orchestra, Lyceum Strings Youth Orchestra. Adriana has participated in Masterclasses given by Viktoria Mullova, Marianne Thorsen, Andrey Baranov, Alexandre Dubach, Veronika Eberle, Yair Kless, Rony Rogoff, Eduard Schmieder, David Takeno, Alexandru Tomescu among others. Her musical development has also been influenced by Alecu Leseanu, Florin Croitoru, Mihaela Tomescu and Adrian Ceapa. She plays on an Albani violin kindly lent to her by the Royal Northern College of Music.